A hundred and fifty years lie between the death of Aurangzeb and the final extinction of the Mughal empire.In its first hundred and fifty years the empire had seen six rulers, but during the next century and a half the Quila-i-Mualla would witness the passage of as many as eleven emperors –if one leaves out the six or seven failed pretenders. It was a period of violence and disorder, with armies constantly on the march across a landscape of increasing misery, impoverishment and desolation. The Forgotten Mughals is the story of these largely pageant emperors with their increasingly ineffectual ministers, and their gradual decline into irrelevance while younger and more powerful forces, both India and foreign, grappled with each other for the mastery of Hindostan. The landmark events like the wars of succession, the dictatorship of the Syed brothers, the Nadir Shahi and Durrani invasions with their attendant horrors, the bloodbath of Panipat and the final sack of Delhi in 1857 are all covered in detail. The book’s strength lies in its anecdotal details, like that of young Muhammad Shah, hiding behind the ample skirts of the formidable Sadr un-Nissa, superintendent of the harem, and of Bidar Dil cowering in a closet, while the emissaries of Qutb-ul-Mulk tried, in vain, to convince his women that they had,in fact, come to call him to the throne. And who will believe today that, as part of the ‘retributive justice’ of the British. For nearly twenty years the Zinat masjid in Daryaganj was used as a bakery, and that the basement of the Fatehpuri mosque was sold to Seth Chuna Mall? G.S. Cheema was born in Ranchi and is presently a senior civil servant belonging to the Punjab cadre of the Indian Administrative Service which he joined in 1972. He lives in chandigarh. History has been singularly unkind to the later Mughals. While every schoolboy is familiar with the names of the first six emperors of this illustrious house, few would be able to name more than one or two of the padishahs that followed the ‘Ornament of the throne, the world conqueror ‘ ,Aurangzeb Alamgir. For the average Indian,jahandar,Rafi-ud-Darjat, Alamgir Sani ,are mere names ,and unfamiliar ones at that. Even the school history books do not talk of them. Only Muhammad Shah, Shah Alam II, and Bahadur Shah II receive a passing mention; the first because Nadir Shah’s incursion occurred during his reign, the second on account of the battle of Buxar and the treaty of Allahbad, and the last on account of the ‘Great Mutiny’, his verses, and simply by virtue of being the last of his house. The others are known only to numismatists. But the period deserves deeper study. The great lessons of history are derived from its darker periods. The ‘golden age’ of Akbar and Shah jahan are of scant revelence to the fragmented politics and confusion of the present age. On the other hand it may be easier for us to empathise with the wazirs of the ‘Great Anarchy’ who had to contend with vicious governors, and a rulling class which had become utterly amoral. Corrupt, unscrupulous. It makes for a gripping story and fascinating parallels can be drawn with political scene of today. That is the principal justification for this book which has been written primarily with the political scene of today. That is the principal justification for this book whish has been written primarily with the general reader in mind. 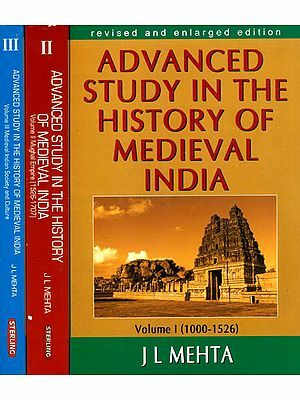 I have relied mainly on secondary sources or records already well known to historians, and my debt to the early writers on the subject ,particularly, William Irvine and Sir jadunath Sarkar is immense. Almost as great is my dept to Syed Mir Ghulam Husain Khan Tabtabai, and to his translator, M.Raymond , or Haji Mustapha. My thanks to low prize publications, Delhi, who have made available so many old historical texts at reasonable prices. large number of other books and records have also been consulted and I am grateful to the staff of the Punjab university ,the central state, and Dwarka Das Libraries at Chandigarh, the Punjab state archives library at patiala, and the Khalsa Collage Library at Amritsar, who made the material available to me. My thanks too to my late mother (now lodged in paradise ) from whom I acquired my interest in history, to my wife for her patience and support during a difficult period. Bringing forth a book is a painful process and not conducive to good humour or amiability. My thanks too to Glenda, Nunes, Satnam Singh and jasbir who helped me out with the first typescripts and to Sabino D’Souza and Constantine D’Abreu of the Chiristian Brothers, formers principals of St. John’s, my old alma mater, who allowed me to use the school computer and printer, at a time when these were not as common place as they have since become. My son ,Prabhjot ,too must not be forgotten as it was he who provided the technical support for my own computer, when I finally acquired one. Whenever it caught a virus, otherwise crashed-as all computers do occasionally-it was he who debugged and nursed it back to health. My Thanks too, to Mr. Ramesh jain ,who not with standing the bulk of the work and my inexperience as a writer, accepted this book for publication. The task of Mr. B.N Varma and his team was probably the most laborious. Their editorial suggestions were invaluable and the final book is consequently a considerable improvement on the earlier drafts besides being of more manageable length. Last, but not least, I must also express my gratitude to the Punjab sarkar,whose salt I have been eating for close on three decades. The fidwi still depends on it for his government’s indulgence in not over burdening him with official duties. But for it’s forbearance this book would have taken so much longer to complete.